That’s what Fruitful Friendship is all about. It’s our imperfections that authentically connect us. For the last two summers, thousands of women, from Tulsa to Tokyo, joined with me from all over the world to give this Fruitful Friendship thing a try. And you know what? It worked! Here’s what we learned: We didn’t have to hold ourselves–or others–to a standard of perfection; we just had to do our best to love well through all our flaws and mess. Living in my imperfections and allowing others the freedom to do the same has helped me cultivate fruitful relationships. Fear of not being perfect, not fun enough, too introverted, awkward in conversation, too broken — I know these fears well. These are things we’re going to talk about openly and tackle for the next five posts together. Let’s join together to let go of “perfect” and start some real connections. I don’t know about you, but I am so ready. How do you embrace awkward and put yourself out there to find friends? How make existing relationships more joyful and meaningful? And how do you do this if you are forgetful, busy, and imperfect (like me!)? Here are Five Easy Ways to Grow Meaningful Relationships—no perfection required! Much more to come in the next four posts too. Let’s do this! 1. Let go of friendship guilt. Friends overlook our broken fences and admire our gardens. You don’t have to be perfect to have meaningful friendships. Let’s let our friends—and ourselves—off the guilt hook and start fresh. When I think of the most rooted relationships I have, those friendships grew because we let ourselves be imperfect in front of each other. We let each other into the mess. Sometimes that meant literally saying, “I am not a perfect friend, but I want to have a closer friendship with you.” Sometimes it meant choosing forgiveness and believing the best about the other person. And sometimes it meant I needed to take the friendship guilt and (hard advice here but it’s true…) do something about it. Maybe I was being neglectful in our friendship and needed to talk to my friend about why. 100% of the time, my friends are relieved when I share these feelings because chances are they were feeling them, too! Our imperfections, come to find out, are what connect us together. 2. Be the invitation. We all say it: “We should get together sometime.” [Insert month-long pause.] Don’t wait for the invitations to come to you; be the invitation! Whoever came to mind first when you read that, choose that person and finally get together. Send one invite to a friend—or a group of people—and keep it simple and fun. It doesn’t have to be the perfectly planned for the conversation to be meaningful. Fruitful Friendship doesn’t happen without getting together with your friend. Who do you want to grow closer with? Which relationships do you want to grow and intentionally tend to? Remember, real connections happen little by little. Use our Friendship Tending List in the NEW Fruitful Friendships Workbook and be intentional about spending time with the people on your list! 4. Make a list of Fruitful goals and adventures you want to try! Use the Fruitful Goals List, or create your own like I did with Grace. Hang it in a place where you’ll see it every day. We hung ours in our kitchen above the table where Grace colors and eats her breakfast each morning. 5. Don’t let life live on a list—get out there! 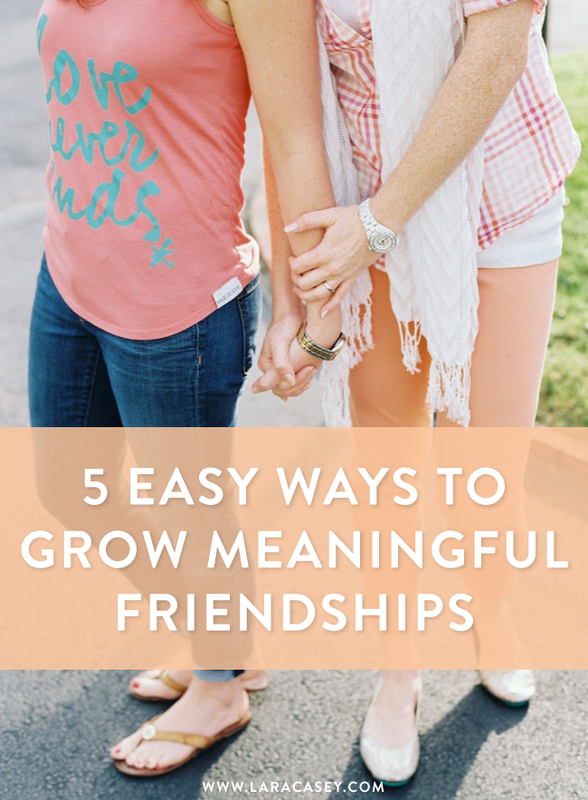 After you’ve filled out your list, pull out your planner and let your Fruitful friendships come to life. Write action items on your schedule: dates you’ll check in with specific friends, tending tasks, and adventure you’re going to try. Don’t let your life live on a list—make it happen! One of the things on our list was to have a playdate with a friend. We invited her over and baked dinosaur cookies. From start to finish, all it took was me texting her mom to schedule a time, this easy recipe, and sprinkles! 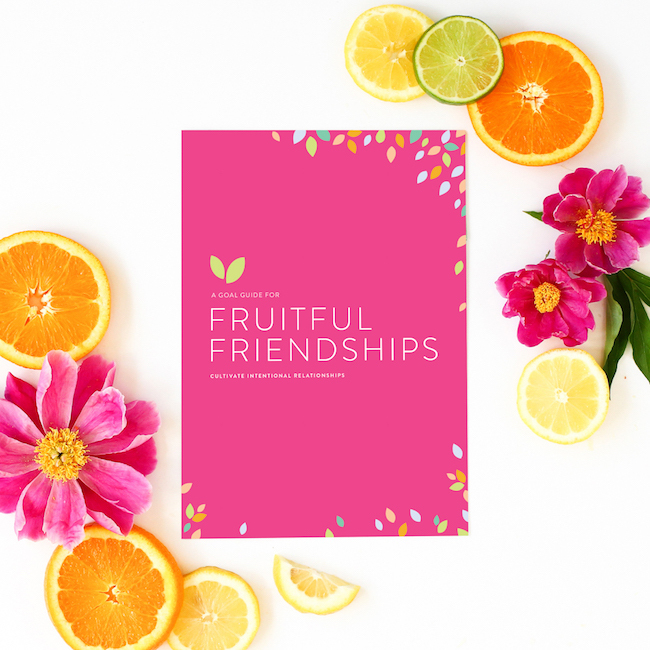 There’s so much more in our new Fruitful Friendship Workbook. It’s loaded with tips, advice, friendship tending worksheets, and much more! Get yours here. Stay tuned for the rest of my Fruitful Friendship tips. Up next, how to let go of perfect and embrace an imperfect summer! I really love this idea… Bringing friends together, what could be more important in life? These are wonderful ideas! Thanks so much for the post! The “HERE” for the Fruitful Summer Guide has no link. Is it just me? Rereading some of your friendship posts from last year… Great reminder for aligning your priorities! Thank you for putting together this information and making it available to everyone! Lara, I love this , thank you! I struggled when my son was small and I was newly a SAHM. I have been blessed since with many opportunities for friends. May I ask how did you create those adorable retro style photos above your goals list? I love it! Thanks again for everything you do. Motherhood can often be so isolating, yet deep and true community is a true provision of the Lord to get through the hard moments! Thank you for shedding light on this important issue! I love your thoughts and cannot wait for more of this summer series!